Apple announced the iPhone 4 today which will ship later this month. One of the really neat new features is FaceTime, which is mobile video calling. The demo video of the feature on their site shows a couple signing with each other. While we have been able to videoconference for some time on a computer via tools such as Skype and iChat, with the new iPhone, we can easily sign to each other over vast distances and not be tethered to our computers. This is bound to usher in a revolution in sign communication. As discussed previously, the Signing Savvy website works great on the iPhone, iPad, and iPod touch. The Signing Savvy website currently works AS IS in the Safari browser on the iPhone, iPad, and iPod Touch. That is, you can get the full power of the website from the palm of your hand on these devices. We do have plans to build a custom application for these and other mobile devices. 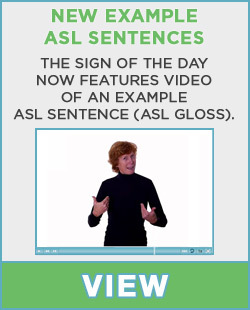 However, our focus right now is on making the website the best resource for those learning or using sign language. The apps will come once we have the website where we want it to be.